You are an achiever - no challenge is too big for you. 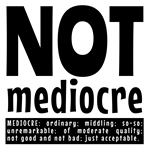 You don't settle for second best - you are definitely NOT MEDIOCRE. 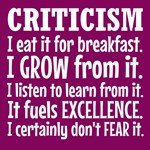 Leaders and those who pursue excellence thrive on criticism.